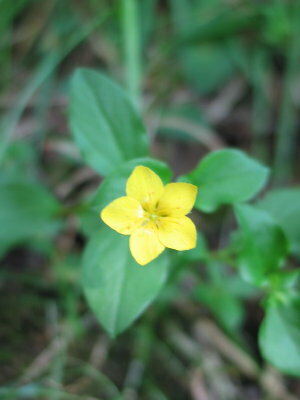 This a low, creeping, hairless perennial. 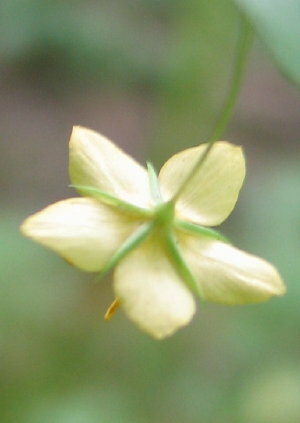 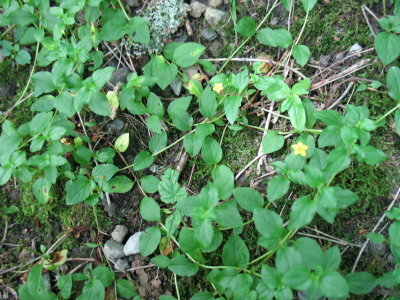 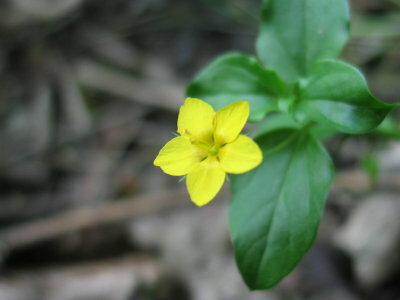 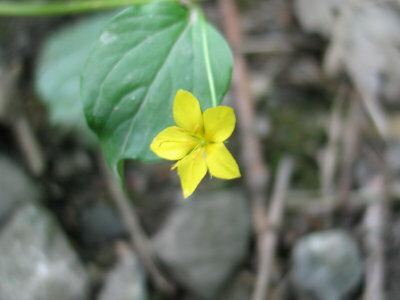 It can be confused with Creeping Jenny (Lysimachia nummularia), which can be found in wet open woodland, as well as other damp habitats, but the flowers of the Yellow Pimpernel are smaller and flatter (as opposed to the cup-shaped flowers of Creeping Jenny) and its leaves have pointed tips (as opposed to the more rounded leaves on Creeping Jenny). 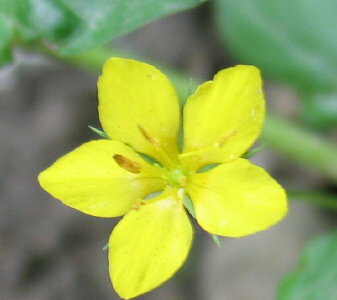 Yellow Pimpernel grows throughout Britain and Ireland. 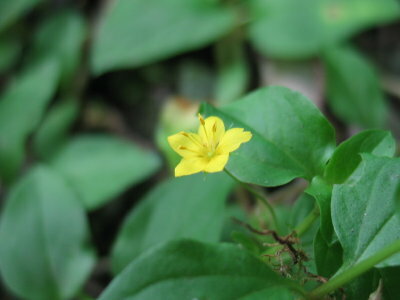 It grows in damp or shady woodland, hedges and fields.